Lyuboslav Ilev is a 17-year-old high school student in Sofia, the capital city of Bulgaria. As a role model of the new generation of Eastern Europeans, he is highly accomplished in languages (his maternal language is Bulgarian) and he has a keen sense of history in both his own nation and throughout Europe itself. 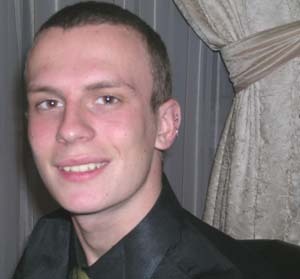 To hear a conversation with Lyuboslav, CLICK HERE. To read Lyuboslav's overview of his native Bulgaria, please see below. Standing in front of the small airport in the capital city of Sofia, I gaze at the dark silhouettes of the buildings around me. I realize that a traveler who has never visited Sofia or Bulgaria might be surprised that he or she is standing in the capital of the oldest contemporary country in Europe. Indeed, a strange sight it is — a mixture of old and new, of forgotten ruins, and of modern dreams. As a place where the East meets the West, Bulgaria has always been different from other countries in Eastern Europe. When you walk the dusty streets, watch the people meet each new day with silent determination and never-ending resolve, you come to understand how these people managed not only to survive, but to prosper, even when all seemed lost. But let us begin our journey. Bulgaria is a country situated in southeastern Europe. It is one of the major crossroads between Europe, Asia, and Africa. The northern border is the Danube river, the eastern the Black Sea. The climate is temperate, with cold winters and hot summers. The terrain is varied, with mountains in the southwest and central parts, and hills to the north. With the sea to the east, it is the perfect place for travelling, at any time of the year. In Bulgaria a traveler will find a unique mixture of customs, religions, and people. It is a place of extremes, where the flea markets of the east meet the modern architecture of the west. 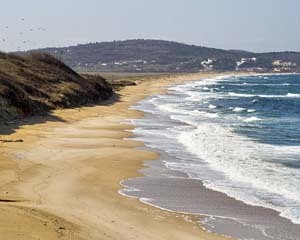 But what is most unique to Bulgaria is its blend of ancient customs and contemporary ways. Wherever you go, you will see it — even though only an experienced eye will recognize it. From the different religions, co-existing peacefully to the minorities, treated as part of the whole (rather than set apart — as is the custom in many countries), Bulgaria is a model for other countries in this region of Europe. The first-time traveler to Bulgaria will certainly be interested in the sights in this country — let me assure you that there is, indeed a lot to see. 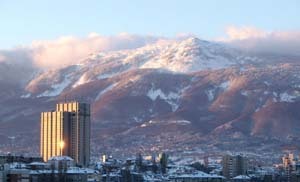 The capital Sofia (pronounced SO-fia with the accent on the first syllable), is the largest city in Bulgaria with a population of just over one million. In many ways it is a typical Eastern European city. But then again, in many ways it is not. 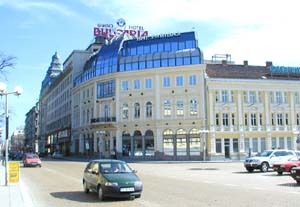 Most of the older buildings have been constructed in a Central European style. The city was also one of the oldest centres of Christianity and there are many magnificent historical monuments. For exempla, the Alexander Nevsky Cathedral is one of the largest Eastern Orthodox churches in the world. Unfortunately, some of the most beautiful houses in Sofa are occupied by foreign embassies and are not open to visitors. A must-see in Bulgaria is the ancient capital of Veliko Tarnovo. It is one of Bulgaria's oldest cities, and traces of human presence here dates from the third millennium BCE. The city attracts tourists with many historical monuments, among which are the ruins of the Tsarevetz castle (which was the royal and patriarchal palace) and Trapezitza, the second fortress of the inner city. For, those interested in rural tourism, Arbanasi would be a good place to visit. 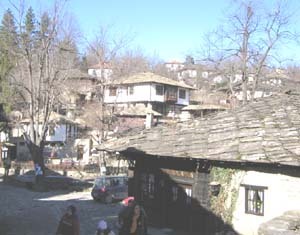 It is a typical small village, situated north of Veliko Tarnovo. What is really unique is the way the spirit of times long gone has been preserved. Of course, if you visit during summer, you will want to visit the seaside resorts, as seaside tourism has always been a big industry in Bulgaria given that it is situated in part on the Back Sea. A good place to visit would be Nessebar. The older part of the town is situated on a penn insula, connected to the mainland by a man-made isthmus. Because of its many historical buildings, the city has been included in UNESCO's list of World Heritage Sites. 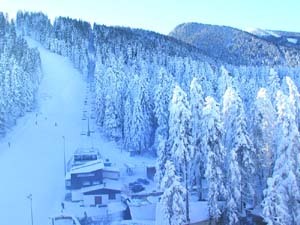 During the winter months, Bulgaria offers plenty of winter resorts, one of the best being Borovetz, twice the host of Alpine Skiing Cup competitions. With its total of 45 kilometres of ski runs varying in difficulty and length, Borovetz attracts thousands of ski and snowboard fans each year. As you leave the airport, be very careful when choosing a taxi. Many travelers have been cheated just because they don't pay attention. Also, make sure you pay in local currency. Perhaps the low prices in Bulgaria will surprise you, but remember that you are in a country which has an emerging travel and tourism industry. As is the case in any major city in the world, when going about on public transport in cities, be mindful of pickpockets. As a country in a very strategic geographical location, not to mention an equally strategic political position, Bulgaria has seen its share of wars. Throughout the centuries, many civilizations left their mark on the hills and mountains that are now part of the country. Thracians, Slavs, Romans, Byzantines, Proto-Bulgarians, and Ottomans all took part in the history of the modern Bulgaria. Unfortunately, historical tourism is still in a developmental stage in Bulgaria because, owing to infrastructure problems, many monuments are not very accessible. On the other hand, this is good news for people who prefer to see things as they were, rather than through the “showcase” of a museum. In the 20th century, Bulgaria took part in both World Wars, both times on the side of Germany. However, as many Bulgarians are proud to admit, our country was the only country that saved its entire jewish population. After the war Bulgaria fell under the totalitarian rule of the socialist regime. This lasted un till 1989 when modern Bulgaria began to emerge. During the last years of the 20th century Bulgarian economy collapsed twice; once because of the loss of the market of the Council for Mutual Economic Assistance after 1989, and one because of the lack of international support and unstable banking system a few years later. However, these economic conditions are now a thing of in the past; Bulgaria's GDP is growing at a rate of 4 to 5% annually. Thus there is also an increasing stability in this nation which in 2007 will join the European Union. Currently Bulgaria stands at a crossroads. An important turning-point will of course be the imminent EU membership in January 2007. Many young people are disturbed by this because they fear that, even though things might get better, the unemployment will remain the same. Many owners of small businesses are afraid that they might lose because of the overwhelming competition of the larger Western European corporations. Some fear that the real problems, such as corruption and crime, will remain the same. Of course, many people feel optimistic about the future, as in the last few years there has been considerable economic growth. Bearing in mind that Bulgaria continues to broaden its horizons, and even though the future is still unclear, one thing is certain — my homeland has a bright future.